Our client, a well known game development specialist in the market is known for some of the most innovative game applications. In addition to being a dominant player in the industry, the company has an extensive portfolio which includes games developed for various genres. These include sports and recreation, education, puzzles, logic, adventure and much more. Our client identified an opportunity in the wake of the NBA season which attracts a huge fan base worldwide. Our client wanted to develop a game app inspired from the classic American sport of basketball with some added features of its own. 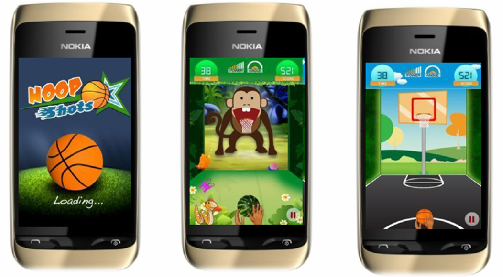 The game was to be developed for the Nokia Asha platform, which was the platform of choice for the client. Developing different themes wherein each theme will have a unique setting featuring attributes such as the jungle theme having forest like elements. Requirement of the ball motion physics to be realistic. Coordination of the user’s swipe movement such that it would correspond with the trajectory of the ball. Required to perform all functional testing for critical aspects such as interruptions, sound effects and user interface elements. Incorporation of impactful sound effects and a realistic gameplay to provide a rich user experience. Ensure that the game would be compatible across different screen resolutions and form factors. Xoriant has a significant amount of experience in mobile app development with a comprehensive portfolio covering different segments such as utility, lifestyle, business, reference and games across multiple platforms. This led Xoriant to be the right choice for the client for this engagement. Regular meetings were held between the Xoriant team and the client to obtain a comprehensive understanding about the project’s requirements. The Xoriant team consisted of a technical architect, a UI designer, a software developer and a QA engineer. Xoriant conducted a market analysis, with a focus group to identify the right target audience for the game app, eventually targeting users across age groups 4 to 50. Rough drafts of the visuals were made and multiple story board sessions were held to determine the final look and feel of the game. The team also went through extensive brain storming sessions to create unique elements for the respective themes. A record management system was incorporated to update a player’s top 5 scores automatically. Ad integration was done for revenue generation. Extensive testing was done to check coordination between the swiping gesture and ball movement, which also involved a demo amongst a focus group to obtain end user feedback. Interruptive testing was done to check for loop and basket shooting sound effects during gameplay. Appreciation from notable sports authorities and veterans for showing an affinity in conceptualizing an application based on a popular game. Led to further development of a series inspired from other variations of the basketball sport such as HORSE, one on one and 21. 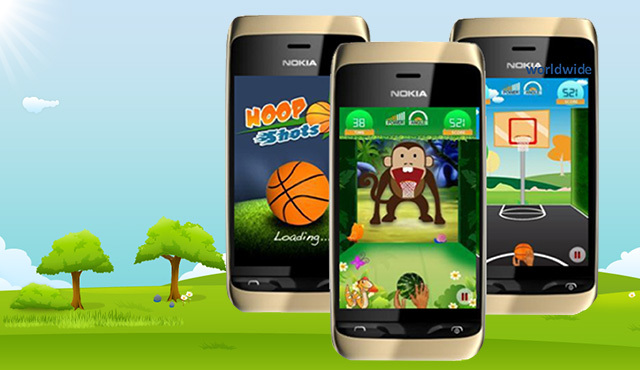 Earned a reward from Nokia Asha gaming boot camp as the best app based on a real time popular sport and its noted universal appeal across different age groups.